NO INSTRUCTIONS NEEDED - Remarkably easy to use for all ages. SUPERIOR DESIGN - Ergonomically designed to open difficult jars with maximum efficiency. GREAT FOR SENIORS - The nonslip Twistoff jar opener grip is perfect for seniors or those with arthritic hands. ALL SHAPES AND SIZES - From beer bottles to pickle jars, the Twistoff jar opener is your "must have" kitchen aid. EASY STORAGE - Sleek enough to store in your cutlery drawer or tucked neatly with your favorite kitchen tools. Color:Blue/White Never ask someone else to help you open a jar again. 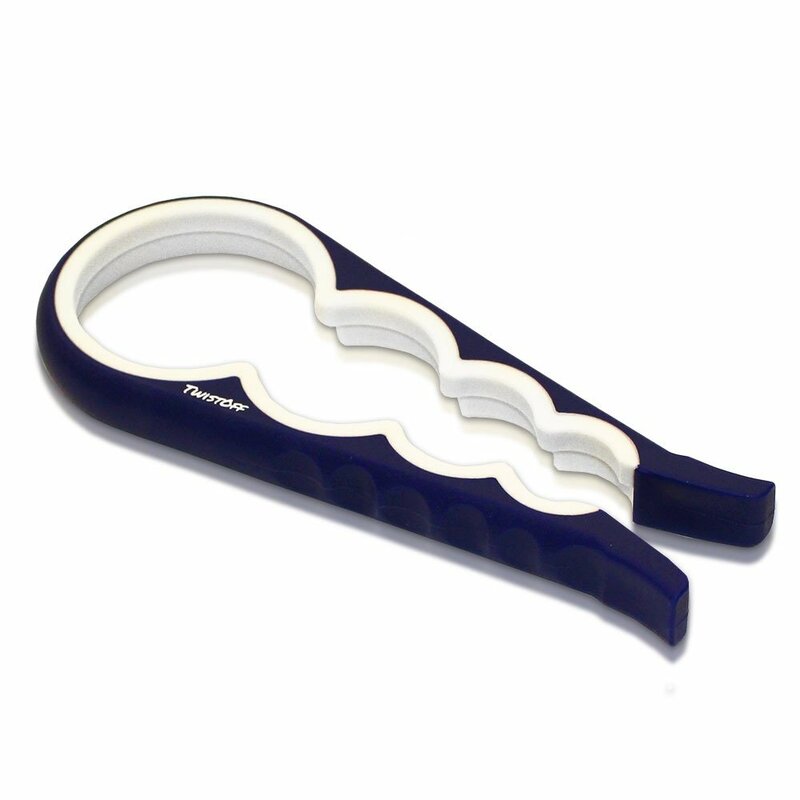 With theergonomically designed Twistoff jar and bottle opener, what was once adifficult feat is now a simple task! Perfect for seniors or anyone witharthritic hands. With four easy to use sizes you can easily open anything fromthose hard to grip soda caps all the way to the large lids of a pickle jar.Designed to be durable, easy to use, and easy to clean. The Twistoff Jar andBottle Opener makes a great gift!